• Caring for children from 1 to 3 years of age. * – Tuition is permanent, does not depend on the time the child will spend in nursery. • pampers (if you do not use our additional package). Each child has a different adaptation process. Some babies are adapting to the new situation right away, others need more time (even two or three months). • On the first day, tell your baby what awaits him in the nursery. Explain at home where you are going (talk about it happily). 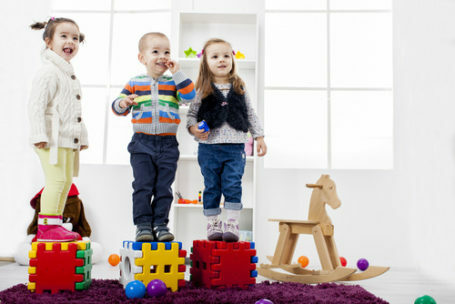 • Gradually extend the time of the child’s stay in the nursery. Start with 2 hours a day and slowly increase the time of separation. • Tell your baby when you get him back. Such information provides a sense of security. • Build a positive impression about the nursery. In the morning, say with joy: “And now mom will take you to the nursery, where you can have a great time!”. • Act confidently. From your face, gestures and emotions, the child reads how he should behave and whether he can feel safe. • Do not extend the farewell. Long hugs will not make it easy for the child to part. • Do not look into the room after saying goodbye. The child, after seeing mum again, may start to cry. • Do not embarrass and do not compare. Your child is unique and has the right to react to the new situation in their own way. The adaptation process may be different. However, be patient and allow your child to get used to the changes :).